O.K. I know I talked about snow envy earlier this month and then lo' and behold the snow deities delivered a few inches so we would not feel slighted. Well, I'm not sure how my wish went haywire, but obviously those same snow deities got their geography messed up this week and decided to deliver a second storm that dropped a record 7 1/2 inches here in Texas. You know, that place where all the retired RV roaming Northeners go to , to get away from the stuff. Now, we could have gotten down in the dumps about our Winter crops failing, our animal chores increasing and the fact that we were without electricity during the night but instead, we chose to have a "snow day". A "snow day" is what kids pray for back in the North East, so we rolled back the clock for a day, and did a few things that adults wished they could do on a Tuesday during the beginning of their work week. My cowboy artist went into town to get his childhood sled that was stored away in his mom's shed. Unfortunately, he found out that she had sold it during last year's annual citywide garage sale, thinking it would never see action again since her children were all grown up and over 35... undaunted, he looked around and spied his old basket ball hoop that was out by the pool. Now he hadn't shot hoops with that thing in 20+ years, but, he did notice it had this great plastic base that even had a place to put your feet. I can see the light bulb glowing over his head as he turns a basketball hoop holder into a mean sledding machine. He came back out to the farm all proud of himself and said "look what we have, it's a redneck sled, I'm going to tie it to the truck and we're going to Antioch (the part of the farm that has hills). I thought he was crazy but having a little cabin fever, decided what the heck, let's go redneck sledding! Not only did we go sledding but also built a snowman for his mom's yard, went around town snapping a series of Texas snowmen built by locals and just enjoyed this very rare occurrence. I say "rare" , we will see what March brings us ! No boring egg sandwiches around here. This is our newest quick farm lunch favorite. We have named it "The Sleestak" for obvious reasons, instead of the eggs sizzling, they just hiss! Land of the Lost was one of my top 5 childhood television shows (right up there with H.R. Puff'N'Stuff , Lidsville and the Banana Splits) hhhmmmm banana splits....we need to plant some banana trees! Sleestak Sandwich: Good crusty bread like Ciabatta, slightly toasted with a little butter and melted shredded sharp cheddar topped with heirloom tomatoes, avocado & fried Pancetta & egg. HHmmmmmmmm! Hisssssssssssssssssss! It snowed back East, East Texas that is! Even though we had high hopes for a Winter garden this year, our dream came to a tragically beautiful end a few days ago. We had been keeping our eyes on the Dallas news stations as snow began to fall, and fall...and fall. I had to admit that when the weatherman said some areas were going to receive up to a foot, I actually felt snow envy. We are about an hour and twenty minutes South East of the Dallas area. As the Dallas/Ft. Worth area was becoming a Currier & Ives postcard, we were becoming an ice cold rainy mess. I cursed the weather report and told my cowboy artist that I would gladly trade this horrible, muddy, ice cold rain for a few inches of snow. The "jazz hands" weatherman (we named him that long ago because of his absurdly exaggerated hand movements and overly excitable personality) kept pointing out the fact that the big snow event was going to miss our area and head further North East. No snow day for us, or so we thought. Oh a few big flakes and some ice pellets hit our metal roof throughout the evening but we were convinced it would all be gone by morning. The last radar report before bed, showed the snow line well above our area and heading off where it was supposed to go. 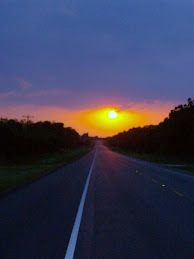 I woke up early the next morning and listened to the silence, no early morning traffic along the road, no bellowing from cattle, not even our roosters were crowing their morning hello to the day. I jumped out of bed and looked across the frozen landscape and was sure that I had woken up possibly back East, not East Texas. Our rain gauge was no longer measuring rain, it was completely covered by SNOW!! Our Winter challenged garden was now officially declared a disaster area! Instead of cursing Mother Nature - we embraced it, savoring a little slice of winter wonderland, if only for a day or two. We spent the morning enjoying the quiet whiteness, giving extra feed to the animals, walking through my cowboy's family cemetery and enjoying this peacefulness that only a snow blanketed landscape can provide. It was a magical day. This Tuesday - they are forecasting another snow storm for North East Texas. Surprise me Mother Nature! Even though it causes disruption of the farm routine and a little more work later, I'm secretly keeping my fingers crossed that we get another Currier & Ives moment. Let it snow, let it snow, let it snow!